Is cosúil go bhfuil todhchaí an Aontais Eorpaigh i lámha na nÉireannach faoi láthair. Ach níl muintir na tíre seo ag tabhairt an oiread sin airde ar an reifreann cinniúnach atá ag teacht chun cinn, mar a mhíníonn Breandán Delap. An mbeidh cumhacht Thithe an Oireachtais ídithe má dhaingneofar Conradh Liospóin? Dúirt Jacques Delors, tráth, go raibh Aontas na hEorpa mar a bheadh rothar ann – an té nach gcoinníonn a chos ar an troitheán, titfidh sé as. Bíodh sin mar atá, ach tá oiread céanna creidiúnachta ag reifrinn ar chonarthaí an Aontais is atá ag tástálacha drugaí an Tour de France! Is í Éire an t-aon bhallstát amháin a mbeidh a saoránaigh ag caitheamh vóta ar son nó in aghaidh an chonartha leasaithe is deireanaí – Conradh Liospóin – agus cheana féin, tá an chosúlacht ar an scéal go ndéanfar gach iarracht aon díospóireacht stuama faoi a chur faoi chois. Leagan úr - sin é, níl ach mionathruithe déanta air - is ea an conradh seo de Bhunreacht na hEorpa a aontaíodh i 2004, ach a thug dhá cheann de bhallstáit bhunaithe an Aontais Eorpaigh, an Fhrainc is an Ísiltír, eiteachas dó an bhliain dar gcionn. Má tharlaíonn a mhacasamhail in Éirinn i mbliana, beidh an Bunreacht agus ollstát na hEorpa chomh marbh le hArt. Cuireann sé seo ualach faoi leith ar thoghlach na hÉireann, agus beidh aird an domhain dírithe orainn. Is cinnte fosta go mbeidh go leor daoine polaitiúla mór le rá na coigríche – idir lucht tacaíochta, dóibh siúd atá in aghaidh an chonartha agus “headbangers”, más fíor d’Enda Kenny – ag tarraingt ar an tír seo sna míonna beaga amach romhainn lena gcás a leagan os comhair an phobail. doiligh go leor don AE a leithéid a dhéanamh arís an iarraidh seo, go háirithe ó tharla nár cuireadh toghlach na Fraince agus na hÍsiltíre go dtí an cúinne dalba nuair a dhiúltaigh siadsan don Bhunreacht. chun cinn, mar sin, ach diúltú a bheadh ann do ghnéithe áirithe de fhorbairt an Aontais. Más fiú reifreann a rith in aon chor, is fiú díospóireacht chiallmhar a reáchtáil faoi. Go deimhin, deis iontach atá ann do lucht maorlathais na hEorpa a chosmhuintir a chur ar an eolas faoi fheidhmiú an Aontais agus faoi na luachanna agus aidhmeanna atá aige. Is annamh, áfach, a thapann siad an deis seo. Athruithe SuntasachaCáipéis théagartha is ea Conradh Liospóin, a dhéanfaidh athruithe suntasacha ar chumhachtaí agus ar mhodh oibre chóras polaitiúil an AE. Toghfar uachtarán, mar shampla, ar Chomhairle na n-Airí ar feadh tréimhse dhá bhliain go leith (cé go mbeidh cead é/í a athcheapadh ar feadh tréimhse amháin eile). Sealaíocht sé mhí atá ann faoi láthair, agus bíonn deis ag príomh-aire gach ballstáit suí sa chathaoir. Faoin chonradh úr, cuirfear srian ar mhéid Choimisiún na hEorpa, rud a chiallóidh gur de réir uanaíochta a bheas ionadaithe ag na ballstáit air. Ceapfar ard-ionadaí, a bheas freagrach as polasaí slándála agus eachtracha a bheachtú. Bronnfar breis cumhachtaí chun dul i ngleic le hathrú aeráide agus le comhbheartas fuinnimh a leagan amach. Tabharfar stádas dlíthiúil do Chairt an Chomhphobail um Chearta Sóisialta Bunúsacha le haghaidh Oibrithe agus, seiftiúil go leor, tabharfar cead den chéad uair do bhallstáit an tAontas Eorpach a fhágáil. Ach is é an t-adhmad is mó atá le baint as Conradh Liospóin ná go mbunófar ollstát feidearálach a bhfuil bunús bunreachtúil faoi – nó “Stáit Aontaithe na hEorpa”, mar a thugtar air go coitianta – agus gur saoránaigh an Aontais a bheas ionainn uilig feasta. I mbeagán focal, aistreofar go leor de chumhachtaí pharlaimintí na mballstát chuig forais na hEorpa. Is éard atá i gceist leis seo ná iarracht ar chaoi sheolta éifeachtach a chur ar chumas an Aontais mhéadaithe teacht ar chinntí. Maítear go bhfuil gá lena leithéid mar thoradh ar an tAontas Eorpach a bheith méadaithe as cuimse le dornán blianta anuas - tá 27 ballstát ann faoi láthair. Ar an bhonn seo, is beag difear idir é agus an Bunreacht a thug an Ísiltir agus an Fhrainc droim láimhe dó in 2005. 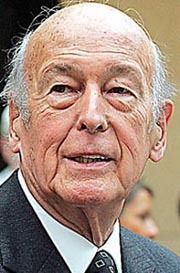 Tá a leithéid admhaithe, a bheag nó a mhór, ag údar an Bhunreachta, Giscard d’Estaing. Go deimhin, níl de dhifear idir an dá théacs ach deich gcinn den 250 alt a bhí sa Bhunreacht. Chan ionann agus Conradh Nice, measadh go mbeadh sé "mí-dhaonlathach" iarraidh ar phobail na dtíortha a dhiúltaigh don Bhunreacht vótáil in athuair, agus dá bharr sin, is faoi na parlaimintí náisiúnta a bheas sé an conradh úr a dhaingniú. Thiocfadh leat a rá, mar sin, gur leagan slítheánta den Bhunreacht é Conradh Liospóin, agus táthar ann a deir gur faoi thoghlach na hÉireann atá sé diúltú de rud nach bhfuil aon ionchur ag cosmhuintir na mballstát ann. Óir is comhartha den easpa daonlathais atá san Aontas Eorpaigh nach mbeidh deis ag pobal na mballstát eile vóta a chaitheamh ar son nó in aghaidh na cáipéise ríthábhachtaí seo. Léirigh pobalbhreith a rinne The Financial Times/ Harris anuraidh gur bhraith 75 faoin chéad de phobal na Spáinne, 71 faoin chéad de phobal na Gearmáine, 69 faoin chéad de phobal na Breataine, 68 faoin chéad de phobal na hIodáile agus 64 faoin chéad de phobal na Fraince gur cheart go mbeadh deis acu vóta a chaitheamh ar son nó in aghaidh an chonartha úir. Is de bharr foráil i mBunreacht na hÉireann a bheas cead vótála againne. Ach léirigh pobalbhreith eile a rinne MRBI TNS ar son The Irish Times i mí na Samhna nach raibh rún ach ag an cheathrú cuid de thoghlach na tíre seo vóta a chaitheamh ar lá an reifrinn. Dúirt 62 faoin chéad den phobal nach raibh aon chinneadh déanta acu go fóill ina leith. Is léir, mar sin, go bhfuil bearna eolais le líonadh ag an rialtas más mian leo a chinntiú go ndaingneofar Conradh Liospóin. Is cinnte go mbeadh go leor de pholaiteoirí na hEorpa i bhfách lena leithéid de bheartas. Is Clár-Eagarthóir le Nuacht RTÉ TG4 é Breandán Delap. Tá cónaí air sa Spidéal, Co na Gaillimhe.